Wintry Weather Adisory: We’ll be OPEN! Posted by Mark Tomlinson on Jan 17, 2018 in News | Comments Off on Wintry Weather Adisory: We’ll be OPEN! 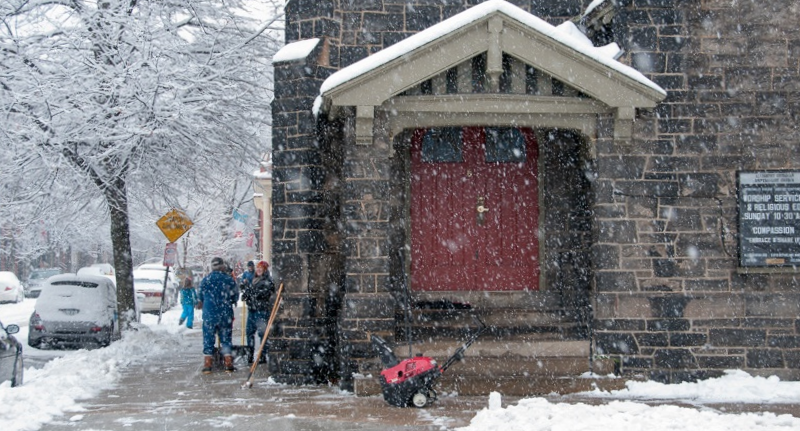 With wintry weather here again a reminder that regardless of weather we gather each Sunday for a 10:30am worship service. That means if you can get here, we’ll be here! If the weather is severe enough that speakers, worship hosts, musicians, etc can’t make it, then we may all need to be flexible and the service format may be a little different. Maybe an intimate fireside gathering in the Emerson Room. But we’ll strive to get the sidewalks and steps cleared and to offer a meaningful spiritual experience for anyone who does attend. Your safety is the most important thing – evaluate the conditions and your trip to and from the North Side. We realize that bad roads, or cold temps, or a threatening forecast may keep you away. We will miss you but we’ll understand if you stay home. Hope to see you Sunday! Our Share the Plate collection during November and December 2017 raised $686 for the January 20 2018 Summit Against Racism, which works to bridge Pittsburgh’s racial divide and move people to fight for racial justice. 2018 will be the 20th gathering, held annually following Jonny Gammage’s 1995 death during a traffic stop. 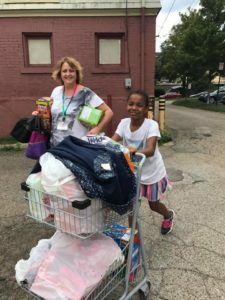 Allegheny’s Share the Plate program began in 2010 and directs half of our Sunday plate collection to justice partners doing important work in the communities of Pittsburgh’s North Side and beyond. To date we have collected and distributed $29,480 to 37 justice partners. If you know of an organization or project doing good works contact <sharetheplate at alleghenyuu.org>. Love. Spirit. Trust. Compassion. Forgiveness. Humanity. Oneness. Difference. Hope. Justice. 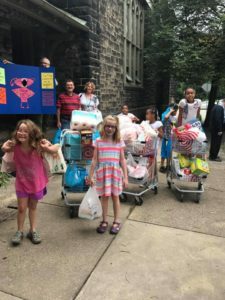 Allegheny UU and other UUs of Greater Pittsburgh congregations will be collecting for the US Marine Corps Toys for Tots program again this year. Donated toys will go to Marine Corps collection points and will be distributed to children whose families might not otherwise be able to provide that joy on Christmas morning that comes when kids open gifts from family or ‘Santa’. It’s easy to participate! Bring new, unwrapped toys to church by December 10th. No food items are permitted, and no used toys. Realistic looking toy weapons will be rejected. Toys should be in their original packaging, and if possible remove price tags. Please show the spirit of our beloved community and generosity and help disadvantaged families to have a merry Holiday Season. You can learn more at Toys for Tots. Our Share the Plate collection during July and August 2017 raised $580 for the Refugee Resettlement Program of the Northern Area Multi-Service Center which provides refugees and immigrants services and support they need to rebuild their lives. Allegheny’s Share the Plate program began in 2010 and directs half of our Sunday plate collection to justice partners doing important work in the communities of Pittsburgh’s North Side and beyond. To date we have collected and distributed $28,073 to 35 justice partners. If you know of an organization or project doing good works contact <sharetheplate at alleghenyuu.org>. 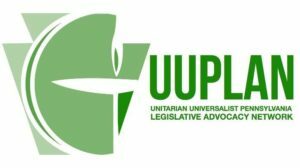 Our Share the Plate collection during May and June 2017 raised $550 for the Unitarian Universalist Pennsylvania Legislative Advocacy Network (UUPLAN), which leverages the commitment and skills of over 6,000 UUs and 40 UU congregations in Pennsylvania to raise a loud and effective voice for social justice issues and corresponding legislation in Harrisburg. 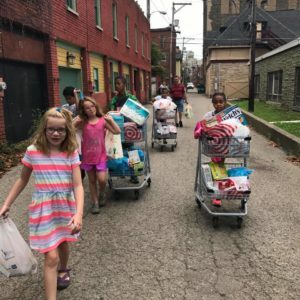 Allegheny’s Share the Plate program began in 2010 and directs half of our Sunday plate collection to justice partners doing important work in the communities of Pittsburgh’s North Side and beyond. To date we have collected and distributed $27,493 to 34 justice partners. If you know of an organization or project doing good works contact <sharetheplate at alleghenyuu.org>. Healthy treats make the summer tastier and far less stressful for families that rely on the Northside Community Food Pantry. The families that depend on the Food Pantry struggle at home during the summer to make up for the free breakfast and lunch that their kids get at school. 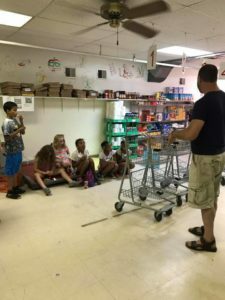 This summer our Religious Education kids decided to put on a Summer Healthy Snack Food Drive for the Northside Food Pantry. 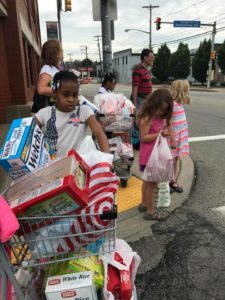 After publicizing during church, going door-to-door in the neighborhood, and having a table at the Open Streets festival, the kids raised money and collected an estimated $500 in healthy snacks! 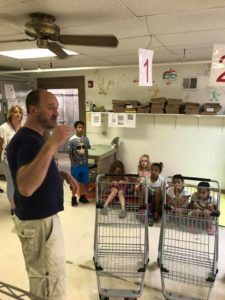 On August 6th, the kids filled grocery carts, wheeled them over to the Northside Food Panter, stocked the shelves, and learned about how families access the pantry. Ronald and Raven are 6 year-old twins that live with their mother and two older siblings. The twins love chewy fruit snacks but their mom rarely sees the treats at the food pantry and there is never enough money on her food assistance card for treats after she buys the basics needed to feed a family of five. Ronald and Raven came to the food pantry this week with their mom and they were thrilled to be able to each select a box of fruit chews to have with their lunches at home this summer. Thanks to the Healthy Snack Drive sponsored by the kids at AUUC, Ronald, Raven and dozens of other kids whose families depend on the pantry for food are finding a special healthy snack with their lunch this summer. 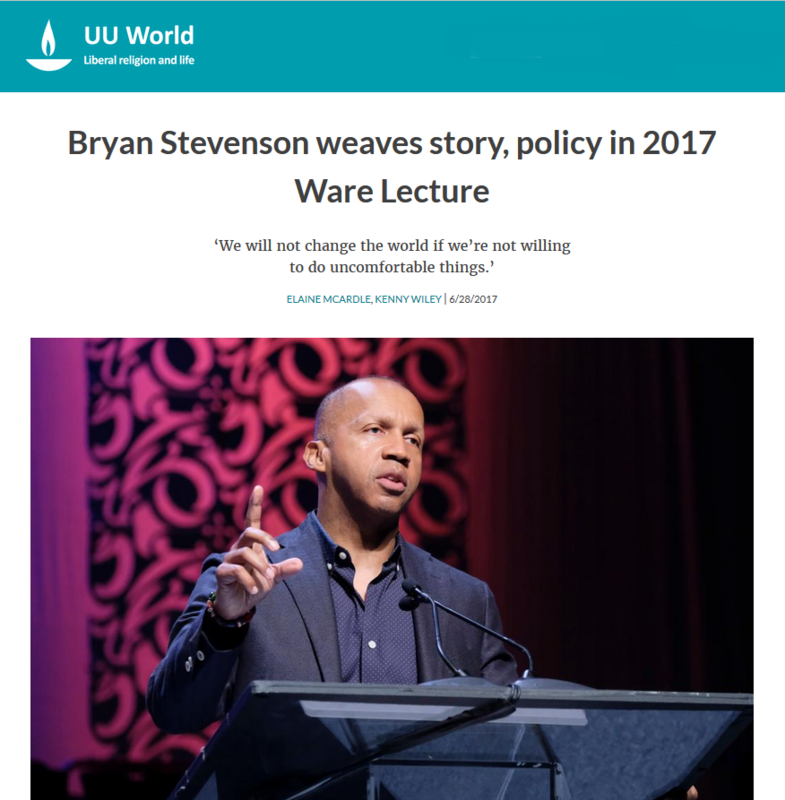 ‘The opposite of poverty isn’t wealth—it is justice,” said Bryan Stevenson, founder and Executive Director of the Equal Justice Initiative (EJI) in Montgomery, Alabama, Saturday night at the Ware Lecture at General Assembly 2017 in New Orleans. He received a standing and thunderous ovation that lasted over a minute at the conclusion of his remarks. Stevenson, a widely acclaimed public interest lawyer who has dedicated his career to helping the poor, the incarcerated, and the condemned, gave UUs clear direction on the work that must be done to create a more just world, including fully accepting our history as a racist society. “I’m not interested in punishing America for this history—I want to liberate America,” Stevenson said, because on the other side of confession comes freedom. Bryan Stevenson is author of Just Mercy, the critically acclaimed New York Times bestseller and the UU “Common Read” for 2015-16. 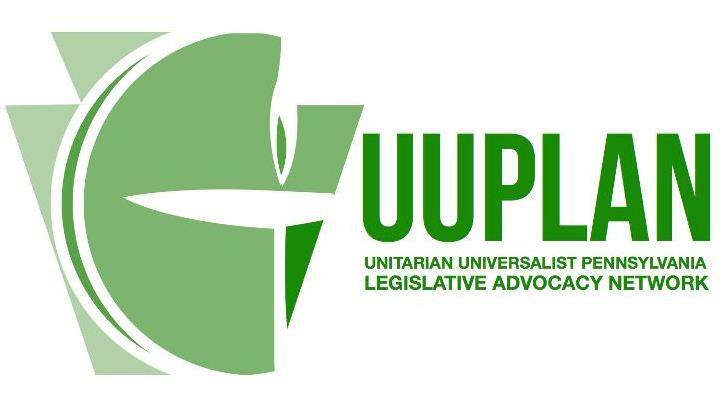 Read more at UU World.